With your Biotrue one day cheap contact lenses premieres vision and comfort every day, choose a great brand in Prodevisión. 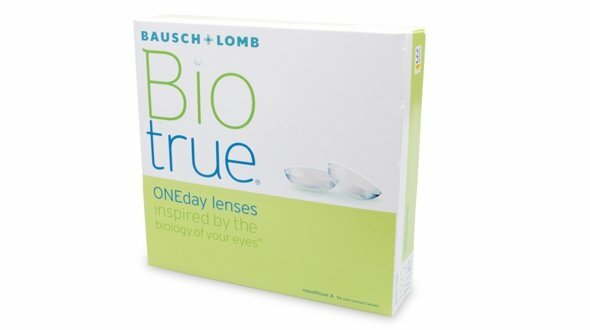 Biotrue is a brand of contact lenses manufactured by the world-renowned contact lens manufacturer Bausch & Lomb. 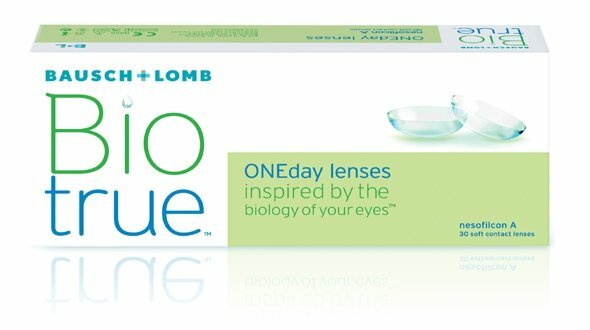 Biotrue ONEday are daily contact lenses with a moisture level that matches that of your eye, which maintains its hydration, making it more comfortable throughout the day. 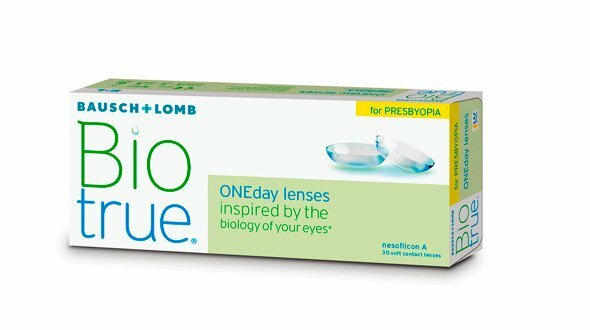 In addition, Biotrue provides a clearer vision, reducing halos and reflections even in low light conditions. These biocompatible online lenses are created in Nesofilcon A high hydration material, 78%, thanks to its internal molecular structure that makes the release of fluids progressively, the lens remains hydrated all day. Its manufacture is performed only in powers for myopia, ie, negative, with a range of graduations from -9.00 to -0.25 diopters. We never have to clean them: we forget the cleaning process every night and the replacement of the liquid in the lens case, we only remove it and throw it away. It is not necessary that we are aware of when we have to change them, there are no calendars, you use them one day and you discard them at night. The replacements are very simple, if one lens breaks down we take another. It is ideal for people with allergies, does not give time to accumulate deposits or impurities that may cause allergic reactions in the eye. In case of suffering temporary allergies, we should not use them in the most acute outbreaks, we will do it in quieter seasons. By having a clean and smooth surface, it is softer for irritated eyes. Excellent option for teenagers who usually carry a very intense activity, forgetting the cleaning and replacement of contact lenses, with daily cleaning is not necessary and they are discarded at the end of the day. It is important to say that to be of daily use, if we use them every day of the week you will need 60 units a month for both eyes, we should not use a lens more than a day, since they do not admit much handling (put and remove ) and could break inside or outside the eye. All this implies a higher monthly expense. Biotrue ONEday is marketed in two formats: 30 and 90 units, being more economically profitable the format of 90. Important: You may not find the brand of contact lenses that you have acquired in your optic lately among our brands. That may be because your contact lenses have a name created for the optics where you bought them (a lens with identical characteristics as the original but with another name). In Prodevisión you can buy cheap Biotrue ONEday contact lenses quickly and with secure payment.